There are numerous ways to create indoor and outdoor decorations with reclaimed materials but reclaimed wood is probably the most popular type of material and also the one that is the most versatile. From shoe racks to kitchen tables, using reclaimed wood for indoor and outdoor decorations is a very popular trend that can lead to numerous creative DIY projects for those who are looking to create furniture or decorate their homes in a unique but also eco-friendly and functional way. Creating an entryway table that also serves as a shoe rack is a great way to create an inviting entryway to your home. Choose the size of the entryway table and decide how many shelves you want. If you have too many shoes, forget the entryway table and choose a shoe rack with 3 or 4 levels instead or use reclaimed wood to make a bench with storage for your shoes inside. You can stain the shoe rack or the bench to match the interior of your house. Adding a rustic touch to your kitchen or living room is a great way to create a cozy atmosphere for your family meals and the best way to do this is by making or buying a reclaimed wood table. If you really like this idea, you can also consider adding some reclaimed wood chairs around the table. If you do not want to commit to a dining table, choose a reclaimed wood coffee table instead. 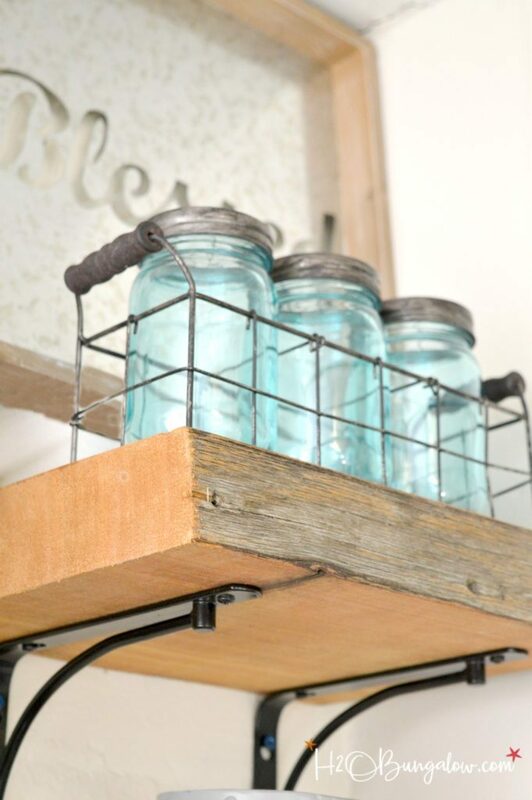 If you are loving the whole rustic vibe for your kitchen, consider building some reclaimed wood kitchen shelves that will not only allow you to store your pots and other kitchen essentials but will also look like the perfect match for your rustic table. 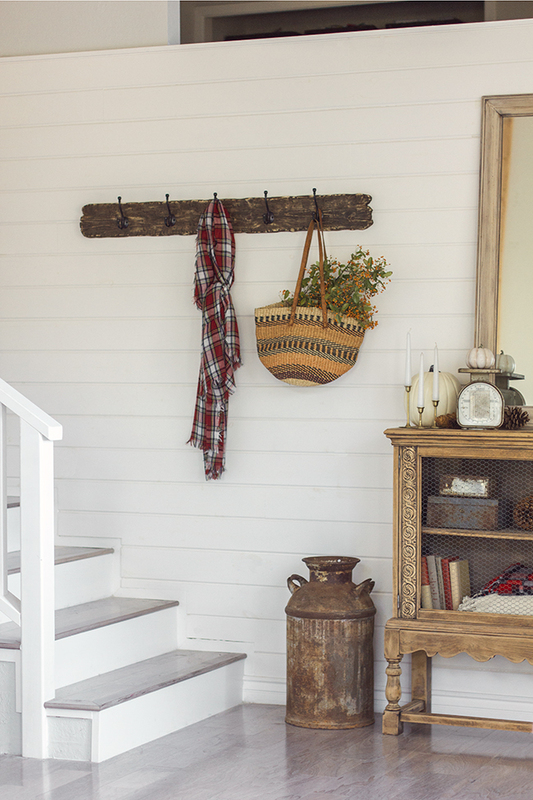 If the shoe rack project is too complicated for you but you would love to have an inviting and rustic vibe in your entryway, you can make a reclaimed wood coat rack. Another simple DIY idea is to make a chic mirror frame. You can use the mirror to decorate your living room. If you love to host garden parties, a chalkboard is a nice idea for writing inspiring messages for your guests or, it is a great way to keep small children busy outside writing and drawing on the chalkboard instead of ruining your walls. 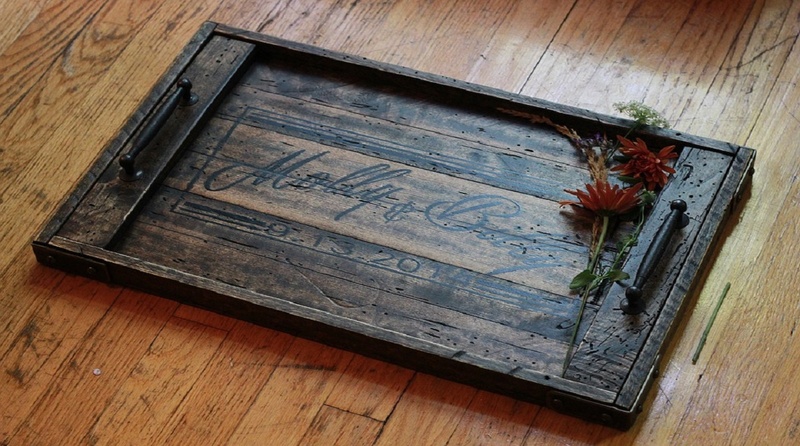 The reclaimed wood frame adds a nice vintage touch to the chalkboard. Other amazing DIY reclaimed wood decorations: mailbox, drink coasters, wine rack, outdoor stools, towel hooks, soap holder, serving tray, a feeding station for pets. Thank you so much for featuring my reclaimed wood kitchen shelves. Such a fun project. Have a good week.